The Exhibitor and Advertiser Prospectus for the 2016 Annual Conference in Washington, DC, is now available for download. Featuring essential details for participation in the Book and Trade Fair, the booklet also contains options for sponsorship opportunities and advertisements in the Conference Program and on the conference website. The Exhibitor and Advertiser Prospectus will help you reach a core audience of artists, art historians, educators, students, and administrators, who will converge in our nation’s capital for CAA’s 104th Annual Conference, taking place February 3–6, 2016. With three days of exhibit time, the Book and Trade Fair will be centrally located in the Washington Marriott Wardman Park Hotel. CAA offers several options for booths and tables that can help you to connect with conference attendees in person. The priority deadline for Book and Trade Fair applications is Friday, October 30, 2015; the final deadline for all applications and full payments is Monday, December 7, 2015. In addition, sponsorship packages will allow you to maintain a high profile throughout the conference. Companies, organizations, and publishers may choose one of four visibility packages, sponsor specific areas, events, and objects (such as the Student and Emerging Professionals Lounge and hotel room keys), or work with CAA staff to design a custom package. Advertising possibilities include the Conference Program, distributed to over four thousand registrants and press contacts in the conference tote bag, and the conference website, seen by tens of thousands more. The deadline for sponsorships and advertisements in the Conference Program is Friday, December 4, 2015; web ads are taken on a rolling basis. Questions about the 2016 Book and Trade Fair? Please contact Paul Skiff, CAA assistant director for Annual Conference, at 212-392-4412. For sponsorship and advertising queries, speak to Anna Cline, CAA development and marketing assistant, at 212-392-4426. Why Is Stolen Art So Hard to Find? The president of CAA’s Board of Directors, DeWitt Godfrey, has made appointments to the editorships and editorial boards of CAA’s three scholarly journals, in consultation with the editorial boards and the vice president for publications, Gail Feigenbaum. The appointments took effect on July 1, 2015. Nina Athanassoglou-Kallmyer, professor emerita in the Department of Art History at the University of Delaware in Newark, has been appointed the next editor-in-chief of The Art Bulletin. She is a specialist in French art from the eighteenth to the early twentieth centuries. In 2010 she published Théodore Géricault (Phaidon); other books have focused on Cézanne (University of Chicago Press, 2003) and Delacroix (Yale University Press, 1991). After a year as editor designate, Athanassoglou-Kallmyer will serve a three-year term, July 1, 2016–June 30, 2019. The March 2017 issue of The Art Bulletin will be her first issue. After her editorship, she will remain on the journal’s editorial board as past editor through June 30, 2020. Two new at-large members have joined the Art Bulletin Editorial Board: Jonathan Reynolds is a scholar of modern Japanese art and architecture and a professor of art history at Barnard College and Columbia University in New York; Michael Schreffler, a specialist in early modern Latin American art, is an associate professor of art history at Virginia Commonwealth University in Richmond. Their terms run through June 30, 2019. Kirsten Swenson, an assistant professor of art history, contemporary art, and aesthetics at the University of Massachusetts in Lowell, has been appointed reviews editor of Art Journal. 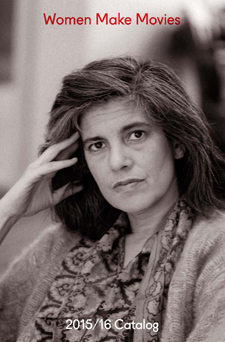 Two books of her work will publish later this year: Irrational Judgments: Eva Hesse, Sol LeWitt, and 1960s New York (Yale University Press) and, coedited with Emily Eliza Scott, Critical Landscapes: Art, Space, Politics (University of California Press). Swenson is serving as reviews editor designate for one year before her three-year term begins on July 1, 2016. Her first commissioned reviews will appear in the Spring 2017 issue. Talinn Grigor, an associate professor of fine arts at Brandeis University in Waltham, Massachusetts, is a new member of the Art Journal Editorial Board. Her area of expertise is modern and contemporary global art and architecture, with a focus on the art of Iran. Her term runs through June 30, 2019. The caa.reviews Editorial Board welcomes one new member-at-large, Ben Davis, an independent author and critic residing in New York. Davis is national art critic for Artnet News and the author of 9.5 Theses on Art and Class (Haymarket Books, 2013). He will serve on the editorial board for a four-year term, through June 30, 2019. New field editors of book reviews for the journal are: Gwen Allen, associate professor of art history at San Francisco State University in California, as field editor for artists’ books and books for artists; Lisa Florman, professor and chair of the Department of History of Art at Ohio State University in Columbus, as field editor for twentieth-century art; Angela Vanhaelen, associate professor of art history at McGill University in Montreal, Quebec, as field editor for northern European art; and Helen Westgeest, assistant professor of modern and contemporary art history and of theory of photography at Leiden University in Leiden, the Netherlands, as field editor in photography. New field editors for exhibition reviews are: Susan Best, professor of art history for the Queensland College of Art at Griffith University in South Bank, Australia, as field editor for modern and contemporary exhibitions in Australia and New Zealand; Natilee Harren, assistant professor of contemporary art history and critical studies in the School of Art at the University of Houston in Texas, as field editor for exhibitions in the Southwest; and Susan Richmond, associate professor of art history at Georgia State University in Atlanta, as field editor for exhibitions in the Southeast. 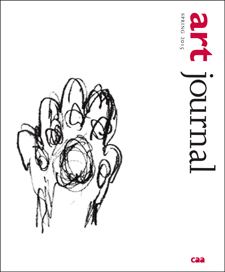 The most recent issue of Art Journal, published several weeks ago, takes a special look at the work of the pioneering artist Carolee Schneemann. Over a fifty-year career, she has consistently been at the forefront of experimental art—as a filmmaker, a performance artist, a creator of media installations, and a feminist artist. The centerpiece of the issue is “The Kitch Portfolio,” for which the artist compiled thirty pages of previously unpublished artworks, photographs, journal entries, letters, and other archival texts pertaining to a central presence in her work from the mid-1950s through 1976, the feline artist and performer Kitch. Two essays on Schneemann’s work are also featured: Thyrza Nichols Goodeve’s “‘The Cat Is My Medium’: Notes on the Writing and Art of Carolee Schneemann,” and Kenneth White’s “Meat System in Cologne.” The issue also includes an essay by Kerr Houston on Richard Serra’s 1966 renunciation of painting, as well as reviews of books by Sharon Kivland, Sharon Louden, Stephen Wright, and Todd Cronan. What’s at Stake in the Artist’s Resale Right Debate? Is the Copyright Office Inflating the Need for Orphan Works Legislation? 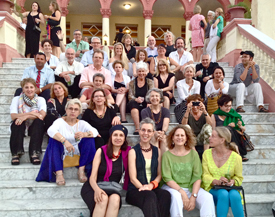 Last May CAA offered a trip to Cuba to visit the Havana Biennial. In an essay, Katherine Jánszky Michaelsen, a professor of art history at the Fashion Institute of Technology, State University of New York, and a CAA member, describes her experiences in this Caribbean capital city, newly reopened to American citizens. Outside the airport terminal we’re hit by blinding sunlight and a riot of tropical color—a golden-shower tree, and a row of the famed vintage Cadillacs and Buicks painted in Day-Glo shades of fuchsia, turquoise, and green. All week long sunshine, blue skies, lush vegetation, and vivid colors provide the backdrop of our Havana sojourn; and then there’s the music; on every other street corner someone is making music—not to mention that this is the home of the ever-popular Buena Vista Social Club band. Timed to coincide with the XII Bienal de la Habana, the CAA trip also overlapped with the onset of the normalization of diplomatic relations between the United States and Cuba. Although Europeans have been traveling to Cuba all along, this was the first year that large numbers of Americans were able to attend the biennial. Celebration was in the air. But testing the climate for change was Tania Bruguera, the dissident Cuban artist and free-speech advocate, who was arrested—not for the first time—at a live reading she held of Hannah Arendt’s 1951 book, The Origins of Totalitarianism. Two members of our group were present at the mêlée. As tourists we were fortunate to enjoy the expertise and connections of the Cuban-born organizer of the trip, Adolfo Nodal, a former director of the Department of Cultural Affairs in Los Angeles and author of the pioneering book on Cuban art, who has been leading trips to Cuba for a number of years. Thanks to Al, who was one of the producers, we were able to attend the world premiere of the opera Cubanacán: A Revolution in Forms; and we were invited to savor roast pork in the garden of his friend, the artist Kadir López Nieves, with whom he is working on the restoration of Havana’s vintage neon signs. In addition to our spirited and fluently English-speaking guide, Gretell Sintes, another bonus was the considerable experience of CAA member and Xavier University associate professor of art history Alison Fraunhar, also a Cuban art specialist who, for example, arranged a special lecture by Nelson Herrera Ysla, one of the original founders of the Havana biennial in 1984. Finally, traveling with CAA top brass Linda Downs and DeWitt Godfrey, and a busload of like-minded, art-savvy colleagues, ensured the exchange of useful tips, stimulating conversation, and beautiful photographs by Sherman Clarke, among others. Every morning after partaking of the breakfast buffet that always included heaps of sliced mangoes, papayas, and melons, we assembled in the grand hall of the venerable oceanfront Hotel Nacional, built by McKim, Mead & White in 1930. In the evenings, after a full day of sightseeing, we’d lounge in the palm-tree-lined veranda sipping mojitos to the sound of a female salsa band. As the biennial venues were scattered around the city, it was possible to view historic tourist attractions—like the Plaza de la Revolución, or San Cristóbal cathedral, and at the same time take in a Tino Sehgal performance at the Centro de Arte Contemporáneo Wifredo Lam—or browse and buy prints at the Taller Experimental de Gráfica. Sales transactions can be made entirely on trust: you chose the work, take it with you, and send the check in the agreed amount to the Miami address of a relative or friend of the artist. One day in the historic district we stumbled upon a large cage with a man wearing lace tights and stack heels locked inside. We later found out that this was a work by the Indian performance artist Nikhil Chopra, who after three days painting what he saw from behind the bars, hacksawed himself out and walked off to the delight of the cheering crowd that followed him. One particularly hot afternoon, we squeezed like eager sardines into the Church of San Francisco de Paula to watch 82-year-old artist Michelangelo Pistoletto smash large mirrors with a mallet. The Malecón seawall was another venue where art and life mixed seamlessly. To make up for the fact that there is no beach, Arlés del Rio created a fake one complete with sand and thatch-roofed cabañas. All along the five-mile promenade tourists and locals mingled amiably among the assorted works of art; children clambered on sculptures as if they were jungle gyms; and occasionally a wave crashing against the wall would douse us with a welcome cool spray. We were not cautioned, nor evidently did we need to be—public safety was not an issue. We saw no beggars, and apart from traffic cops there was no visible police presence. But evidence of poverty was everywhere. Unlike the spiffy, lovingly restored vintage models lined up in front of our hotel, if you hailed a cab in the street, you were likely to get a Soviet-era Lada with missing window and door-handles, springs poking through the seat, and a rattling engine spewing black fumes. Whole neighborhoods are crumbling and derelict; former single-family houses in residential areas have been chopped up into numerous smaller units; elegant mansions are in ruins; and iconic modernist buildings from the 1950s have peeling paint. Architectural preservationists describe this neglect as “preservation by poverty,” meaning that paradoxically poverty has left extant what urban renewal would have inevitably destroyed. Designers in Havana (and elsewhere) have opportunistically embraced the romantic aesthetic of ruins. For example, Guarida, one of the top restaurants in Havana, is located in a ruined building where laundry hangs on a line in the entrance hall. 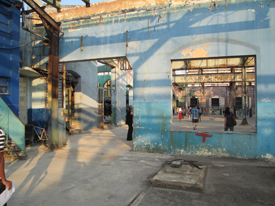 Likewise, an international group show, Montañas con una esquina rota (Mountains with a Broken Corner), curated by artist Wilfredo Prieto, was staged in the roofless ruin of a former bicycle factory. Always at the ready, our tour bus comfortably transported us to outlying sites like Morro Cabaña, the historic colonial fortress on a hill that commands a breathtaking view of the city. A warren of small rooms connected by low barrel-vaulted corridors served as galleries that housed Zona Franca, an exhibition of about one hundred solo and group shows of both acclaimed and emerging Cuban artists. One afternoon we were taken to the Romerillo neighborhood where a year ago Alexis Leyva Machado, the artist known as Kcho, inaugurated (with a rare, surprise public appearance by Fidel Castro) an experimental community project, the Estudio Romerillo. For the biennial he organized an exhibition that took over the entire neighborhood and included artists from all over the world. There is a strong tradition of community service and sharing in Cuba, and established artists who enjoy special privileges are often moved to engage in activities to serve the common good. Carlos Garaicoa, a Cuban artist with an international reputation, is another example. In his spacious studio in a modernist building, he staged a group exhibition to launch Artista x Artista, an international exchange program that will include artist residencies and is based on the Open Studio program he started in Madrid in 2007. Yet another initiative created over the course of a decade for the benefit of the fishing village of Jaimanitas is an extensive and festive work of public art, Fusterlandia. Throughout the neighborhood, starting with his own house, the artist José Rodríguez Fuster painted murals and decorated the walls of dozens of houses with colorful ceramic shards in the manner of Antoni Gaudí. Havana’s Museo Nacional de Bellas Artes (MNBA) comprises two separate buildings. The first, a majestic structure built in 1913 devoted to “arte universal,” was the venue for an exhibition titled Wild Noise—a collaboration with the Bronx Museum of the Arts that included an international roster of artists and explored a series of contemporary themes like identity, style, architecture, and community that are relevant to both the Bronx and Havana. Overseen by Bronx Museum director Holly Block, who has been engaged with Cuban art for two decades and is the author of Art Cuba: The New Generation, the exhibition was hailed as the most extensive cultural exchange between the US and Cuba in over fifty years; it will be followed in 2016 by an exhibition at the Bronx Museum organized by the Havana MNBA. A few blocks away, a modernist building from the 1950s that was fully restored and enlarged in the late 1990s showcases Cuban art from colonial times to the present. Except for the conspicuous absence of the obligatory museum book and gift shop, both the building and installation could easily hold their own anywhere in the world. The highlight of the trip for many of us was the campus of the National Art Schools, now known as ISA (Instituto Superior de Arte). It is the subject of a book by John Loomis, Revolution of Forms: Cuba’s Forgotten Art Schools, and a poignant 2011 documentary, Unfinished Spaces, by Alysa Nahmias and Benjamin Murray. Both works tell the story that is also the subject of the opera Cubanacán: A Revolution of Forms that we attended. In 1961, while playing golf at the Havana Country Club in Cubanacán, Fidel Castro and Che Guevara had the idea that the verdant grounds of this symbol of wealth and privilege would be an ideal setting for a complex of tuition-free art schools. Architect Ricardo Porro, charged to build “the most beautiful city of the arts,” enlisted the help of two Italian colleagues Roberto Gottardi and Vittorio Garatti. 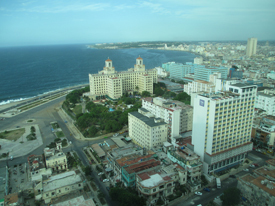 Of the five proposed schools three (music, ballet, and theater arts) were sadly left unfinished in 1965 when, due to Cuba’s rapprochement with the Soviet Union, the political climate changed drastically. 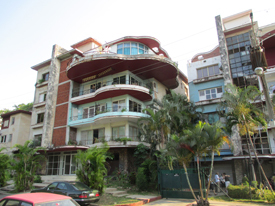 These buildings are now in a state of ruin and overgrown with vegetation. But the schools of modern dance and plastic arts by Porro were completed, recently restored, and continue to be in use. 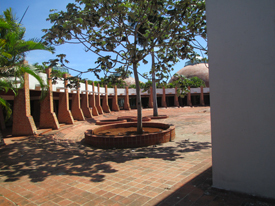 The three wide arches of the entranceway of the brick-domed school of plastic arts provided the ideal backdrop for the outdoor performance of Cubanacán by the Cuban composer Roberto Valera and the American librettist Charles Koppelman. This worthy effort, previewed favorably in the New York Times, is an intriguing work in progress that deserves to be developed further, not only because it serves to publicize this unique architectural undertaking. It was in the daylight the following day that the building came fully to life. Low-lying, hugging the ground, the stupalike domes of red brick and contrasting white plaster are surrounded by tropical green foliage—it is as strange and unfamiliar-looking as the remains of some unknown, ancient civilization. The inside of the building is bathed in natural light from the oculi in the Catalan-vaulted domes and, due to skillful positioning of corridors and interior spaces, is ventilated and comfortable even in the midday sun. The experience of the building was made even more memorable because art students were present throughout. In keeping with the biennial’s theme of the fusion of art and life, mixed in with official exhibits were working art studios open to the public, where you could engage with the art students. When I asked a young woman whether the building was an inspiration for her, she smiled, and her eyes shining brightly, vigorously nodded her head. The Weatherspoon Art Museum at the University of North Carolina in Greensboro presents the Feminist Responsibility Project (FRP) by the New York artist Beverly Semmes. The exhibition features drawings, ceramics, suspended and illuminated glass sculpture, and video work. “The metaphors and imagery of Beverly Semmes’s art typically flow in this direction: from the female body and out into the landscape,” Ingrid Schaffner wrote in the 2011 exhibition catalogue from Rowan University Art Gallery. This is noticeably experienced through the large fabric sculpture, Buried Treasure, on view at the Weatherspoon. Buried Treasure, made of black crushed velvet, has one arm of the dress snaking its way off the wall and across the floor of the gallery, enveloping the active space. Continuing to connect mediums in space, her video, Kick, depicts Semmes kicking a reddish-pink potato across icy terrain, the color reflective of the pot sculptures dotting the gallery landscape. Semmes will be at the Weatherspoon on Thursday, September 3, 2015, at 6:00 PM for an artist’s talk. Presenting artist monographs alongside the essays, the volume collects Nochlin’s writings on artists such as Mary Cassatt, Louise Bourgeois, Cecily Brown, Kiki Smith, Miwa Yanagi, and Sophie Calle, written in a voice that feels as contemporary as when they first appeared. 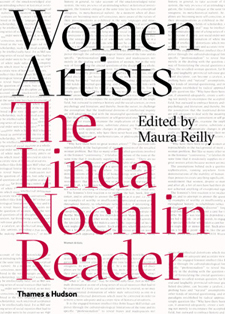 Women Artists: The Linda Nochlin Reader is published by Thames and Hudson and edited by Maura Reilly, founding curator of the Elizabeth Sackler Center for Feminist Art at the Brooklyn Museum in New York. Despite the chance of planetary implosion, the exhibition by Steiner is a constructed “relaxing space” dedicated to the viewing of print work. Sparsely covered white walls are adorned only with a limited number of photographs and collages, while attention in the gallery is focused on a wooden desk and file system. Through the installation, and with an archivist on hand daily, the audience is encouraged to explore twenty years of Steiner’s work. “A. L. Steiner utilizes constructions of photography, video, installation, collage, collaboration, performance, writing and curatorial work as seductive tropes channeled through the sensibility of a skeptical queer eco-feminist androgyne,” her website bio states. In addition to the exhibition, Steiner has collaborated with a “revolving cast of subversives and interlocutors,” including a collaboration with Shinichiro Okuda/WAKA WAKA and additional live performances by Brave Accepter, Jibade-Khalil Huffman on August 15, and YACHT on August 22; and an archivist to guide viewers daily, 10:00 AM–1:00 PM and 2:00–6:00 PM. This thirty-two-page special-edition catalogue is the first in ten years released by Women Make Movies. Focused on their collection, the catalogue includes briefs and data on classics that focus on feminism and gender studies as well as films from diverse regions from across the globe. Highlighted are Academy Award winners such as Saving Face, “a harshly realistic view of violence against women in South Asia,” and new releases, Regarding Susan Sontag and Alice Walker: Beauty in Truth—illuminating portraits of the literary giants. The catalogue is meant to facilitate rental or purchasing access to the Women Make Movies holdings. Established in 1972, Women Make Movies is a “multicultural, multiracial, non-profit media arts organization, which facilitates the production, promotion, distribution and exhibition of independent films and videotapes by and about women.” They provide distribution services and production assistance programs, while facilitating feminist media, including a special emphasis to support work by women of color. The Museum of Modern Art presents the first One Woman exhibition dedicated to the work of Yoko Ono. This retrospective is a survey of the decisive decade that led up to Ono’s unauthorized exhibition (One Woman Show, Museum of Modern [F] art, 1971), revalorizing one of the most misunderstood artists of the last sixty years. Featuring Ono’s most celebrated pieces between 1960 and 1971, the exhibition brings together approximately 125 of Ono’s early objects, works on paper, installations, performances, audio recordings, and films, alongside rarely seen archival materials. During these years, Ono (born in Tokyo, 1933) moved between New York, Tokyo, and London. A pioneer in the international development of Conceptual art, experimental film, and performance art, Ono was then creating artworks that could exist as mere instructions, meant to be executed once, multiple times, or none. Since her early projects are often based on verbal or written instructions, the exhibited pieces focus in the participation on viewers, where the artist generously opens up to their diverse responses to “complete” her pieces, or perhaps towards a sense beyond a One-Woman proposal, but rather an invitation to a collaborative creativity. Among the exhibited pieces to be highlighted are Grapefruit (1964), Ono’s influential book of instructions; the typescript for which is displayed here page by page—consisted of nothing but terse, open-ended instructions for readers to follow—and Half-A-Room (1967), an installation of bisected, incomplete, white-painted domestic objects. The film Cut Piece (1964), documentation of one of Ono’s seminal performances, is also on view. Here, Ono confronted issues of gender, class, and cultural identity by asking viewers to cut away pieces of her clothing as she sat quietly on stage. Cut Piece remains one of the most disturbing works of performance art of the 1960s, that stands as a foundation of feminist and body-centered art. Organized by Iris Nectar Studio, this DIY feminist art exhibition will feature female artists from around the world whose practice focus on fiber art. The project will take the form of an art crawl throughout the Boston area, with an opening on August 14. The project was inspired by the “Guerrilla Girls’ statistics” of women underrepresented in the art world. Originally envisioned as a little exhibit to take place in a single venue for a few weeks, the initiative was transformed into a traveling exhibition using alternative art spaces all across the greater Boston area because of overwhelming response and support. The exhibition will evolve slightly, with a different lineup of artists in each new space. The Feminist Fiber Art Exhibition will feature artwork created by artists that identify as female. The constantly growing collection include the witty—knitting from the Icelandic artist Ýrúrarí, the historic and esoterically influenced—as well as work with strong female characters embroided by Alaina Varrone (New Haven, Connecticut), “pubism” pieces by Sally Hewitt (England), and “retex” (recycled textile) sculptures from the London-based German artist Jess de Wahls. The project online also features a zine, a blog, and a call for participation. Marc Selwyn Fine Art is pleased to announce Topographies: Drawings & Photographic Works 1968–2015, an exhibition by the New York–based artist Michelle Stuart. Stuart (b. Los Angeles, 1933) is a multidisciplinary artist best known for a rich and diverse practice, including site-specific earth works, intimate drawings, multimedia installations, paintings, sculpture, and photographs, all centered on a lifelong interest in the natural world and the cosmos. Her work questions conventional notions of drawing as it merges performative rubbing and frottage gestures with elements of the landscape itself. Stuart brings forth imagery by both adding natural materials and revealing the texture of the earth, combining the fundamentals of both drawing and photography. Each work is a unique meditation on the nature of memory, digitally printed on sheets of archival paper. The individual panels feature untouched and altered elements, including appropriated vintage images and her own photographs, combined in a filmic manner. These dreamlike recollections of her past not only continue her life-long artistic engagement with specific locations, but also affirm the significance of place as a unique source of memory. The exhibition highlights include #9 Zen, an iconic scroll that will be accompanied by a selection of works on paper, ranging from early collages such as Traces to more recent indexical works in which earth and seeds are pressed and merged onto her paper supports. The second gallery features a selection of her cinematic photographs, including the walk-about narratives of The Beginning, Islas Encantadas,and Past Shadows, Orkney. caa.reviews invites nominations and self-nominations for ten individuals to join its Council of Field Editors, which commissions reviews within an area of expertise or geographic region, for a three-year term, through June 30, 2018. An online journal, caa.reviews is devoted to the peer review of new books, museum exhibitions, and projects relevant to art history, visual studies, and the arts. The journal seeks field editors for books in the following subject areas: Medieval Art, Early Modern Iberian and Colonial Latin American Art, Contemporary Art, South/Southeast Asian Art, Pre-Columbian Art, Islamic Art, and Museum Studies and Practice. The journal also seeks three field editors to commission reviews of exhibitions on the West Coast pre-1800, in Europe pre-1900, and in New York and the Northeast. Candidates may be artists, art historians, critics, curators, or other professionals in the visual arts; institutional affiliation is not required. Working with the caa.reviews editor-in-chief, the editorial board, and CAA’s staff editor, each field editor selects content to be reviewed, commissions reviewers, and reviews manuscripts for publication. Field editors for books are expected to keep abreast of newly published and important books and related media in their fields of expertise, and field editors for exhibitions should be aware of current and upcoming exhibitions (and other related projects) in their geographic regions. The Council of Field Editors meets annually at the CAA Annual Conference. Field editors must pay travel and lodging expenses to attend the conference. Candidates must be current CAA members and should not currently serve on the editorial board of a competitive journal or on another CAA editorial board or committee. Nominators should ascertain their nominee’s willingness to serve before submitting a name; self-nominations are also welcome. Please send a statement describing your interest in and qualifications for appointment, a CV, and your contact information to: caa.reviews Editorial Board, College Art Association, 50 Broadway, 21st Floor, New York, NY 10004; or email the documents to Deidre Thompson, CAA publications assistant. Deadline: September 16, 2015. Why Do So Many Galleries Lose Money?